Happy Thirsty Thursday! Sip on a beyond refreshing drink invented specifically for hot weather. The spiciness from the ginger pairs with the freshness from the basil and citrus notes from the prosecco and limes. (This would be equally delicious with sparkling water in replace of prosecco.) I like bubbly drinks, so trying this spritzer from Cooking Light was a no brainer. 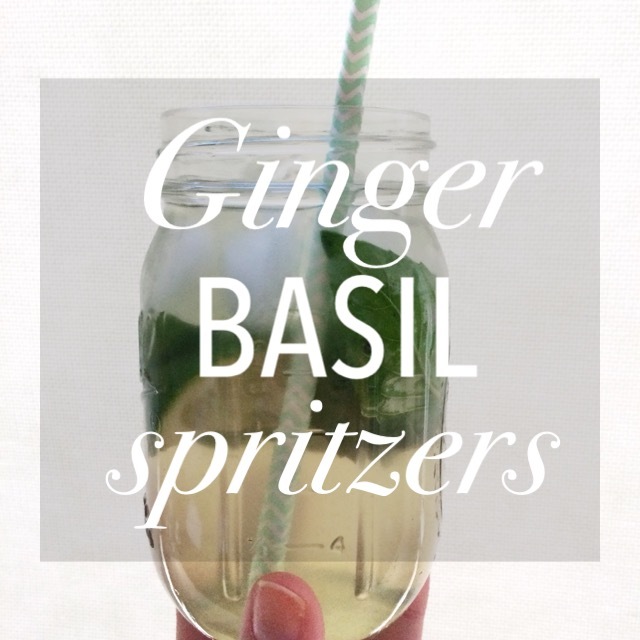 If you can’t beat the heat, then at least try to enjoy it while sipping on a Ginger Basil Spritzer. It has to be five o’clock somewhere, right? 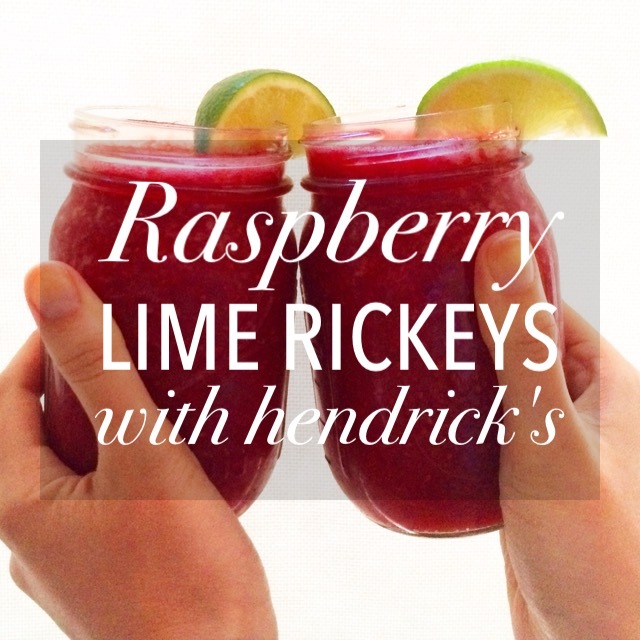 Celebrating Memorial Day Weekend with some Raspberry Lime Rickeys with Hendrick’s. Seen in Cooking Light, I just had to try these. My roommate, Perin, and I wholeheartedly approved of these adult slushies. The flavors of the tart, but sweet raspberries with fresh lime juice paired perfectly with Hendrick’s cucumber gin; they’re completely refreshing. I may even have to keep from frozen raspberries and lime juice on hand to enjoy as a warm-weather mocktail. Real Simple hit the nail on the head. 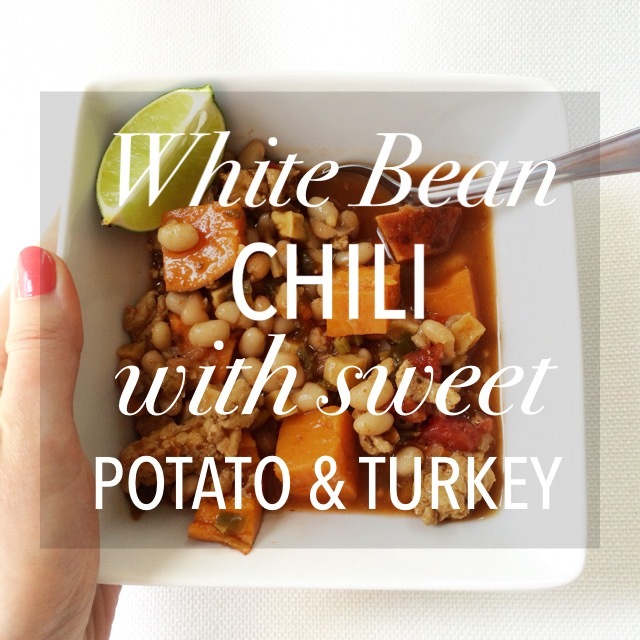 I saw this recipe and brilliant idea for an updated beans and rice and really wanted to try their take. Plus, I never had reasons to like steak and this seemed like it could be one. 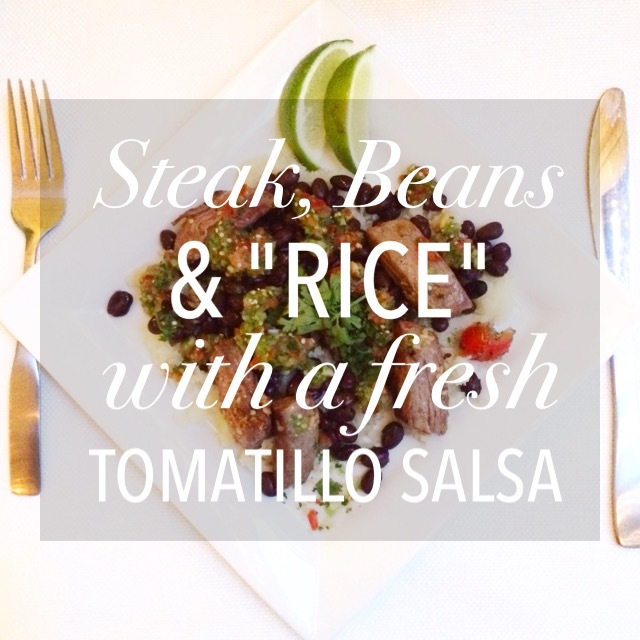 Steak, Beans & “Rice” with a Fresh Tomatillo Salsa. I swapped rice for cauliflower rice for a lighter take — super easy! Grab a mini food processor and you easy have salsa and cauliflower rice; two for one. (Quinoa would be a great substitute for rice as well.) I’ve never worked with tomatillos before let alone had one and now I can’t to have them again. The salsa is tart, light, but not too sour all in one. I added some cherry tomatoes to lighten the flavor and add some vibrancy. Grill the steak instead for a colorfully light summer dish. Pair with a Four Ingredient Margarita and you have a dinner sure to impress. I don’t know about you, but I like my drinks tart and not sickeningly sweet. Cider, margaritas, cocktails — the less sweet the better. My friend over at Insane for Drinks was kind enough to share Sauza 901 tequila. So good and smooth. None of that cheap stuff they give you for shots in your college dive bar (Salty, I’m looking at you). Plus, JT (i.e. Justin Timberlake) endorses this fine bottle, so obviously it must be good. (Don’t believe me? See here.) 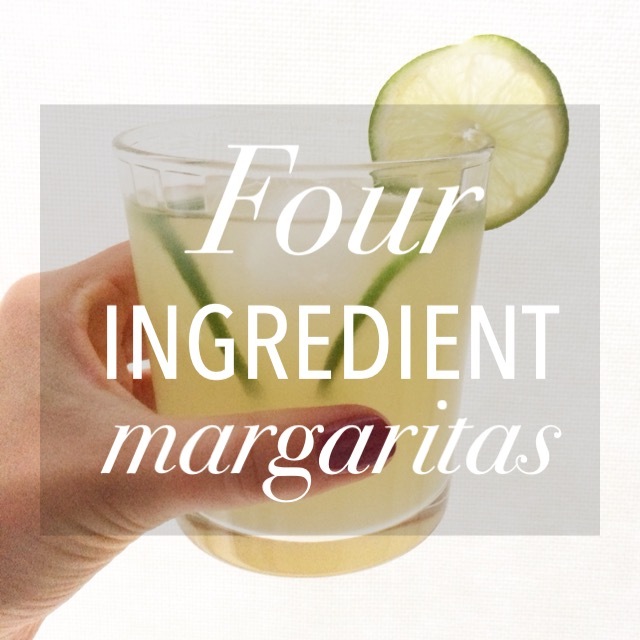 Toss in all fresh ingredients and some agave nectar to have a Four Ingredient Margaritas — a lighter take on the classic drink. This Daikon & Carrot Salad is soooooo easy. Did I mention how simple this was? My dad and I decided to try this restaurant in Portland, ME on a whim for lunch — Pai Men Miyake. With my parents and family friends, we celebrated the end of the summer at the more upscale version of Miyake. Both have Japanese roots with French influences and use ingredients from both their own and local farms. My dad and I split this salad, and oh man — it was a race to the finish. The daikon and carrots were extremely fresh, crisp and crunchy. Daikon, as I have now discovered, is a member of the radish family and loaded with vitamin C and potassium. Another perfect addition to add to your sickness-fighting repertoire. 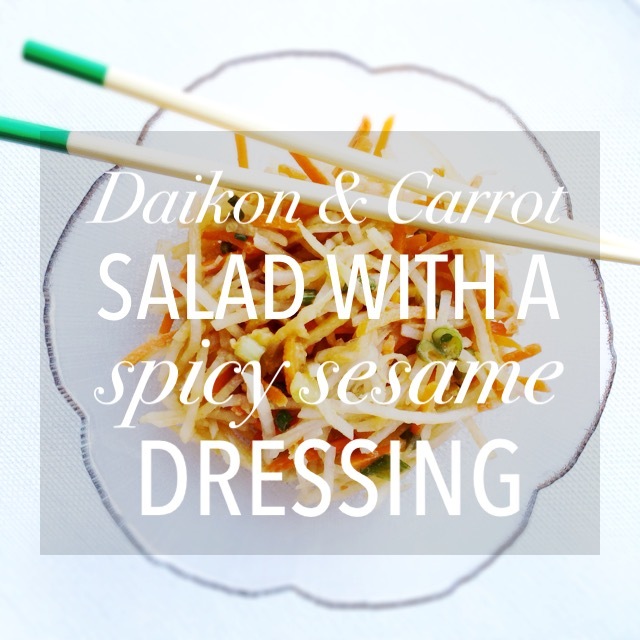 Tossed in a Spicy Sesame Dressing, this Daikon & Carrot Salad will be sure to grace your table again and again.